Unnamed Creek Bridge, Woods Co. 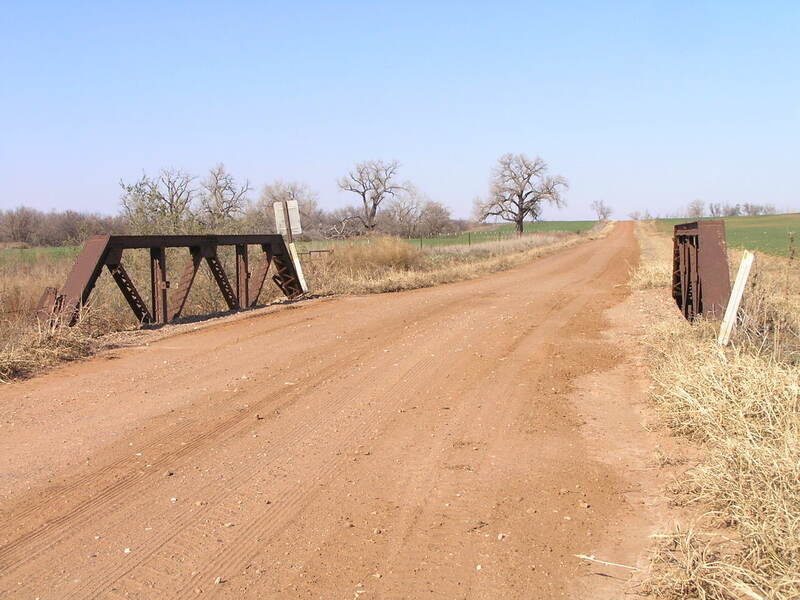 The three pictures on this page illustrate a well-built 40-foot long Warren pony truss located about 5 miles north of Capron. Records differ on the construction date of this bridge. 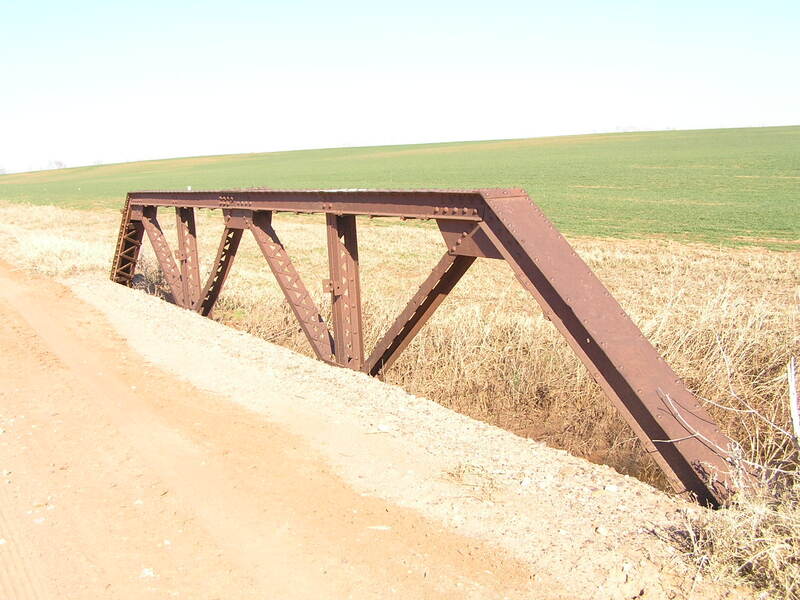 The 2002 NBI gives 1955 as the construction year, while the 2007 historic bridge survey gives 1937 as the year. 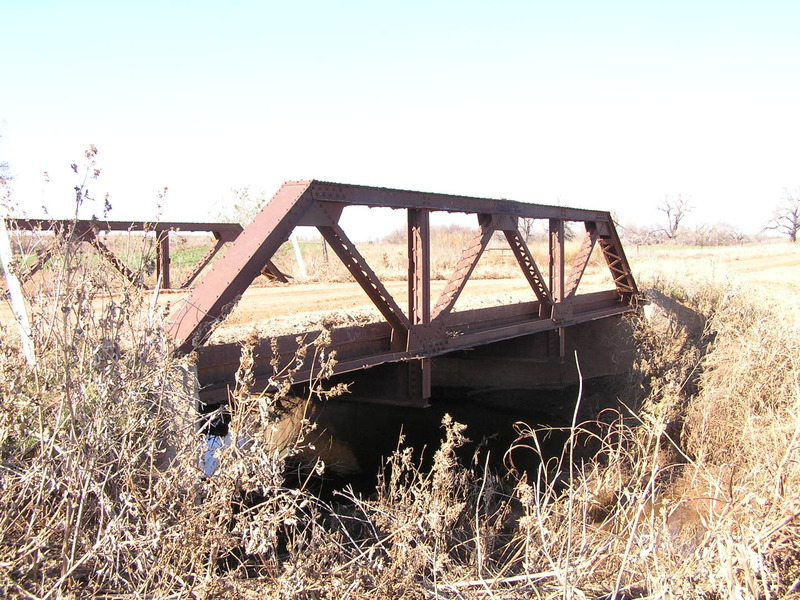 This bridge may have been moved here, an action frequently done throughout the truss bridge era, leading to discrepancies in the records.